GPS Your Best Life- Are you a Front Seat or Back Seat Driver? Are you a front or back seat driver? You have probably heard phrases like “you are judged by the people you associate with” or “your results I life are a result of the people you choose to have in your life”. Our lives mirror the people we choose to associate with the most. Who do you associate with…. Front or back seat drivers? Front seat drivers are people who support others; help them find their way, show patience when there is a detour or a wrong turn, and who offer to share the driving on a long or tiring journey. Back seat drivers have the potential to drain your passion and deplete your positive energy. Backseat drivers often find fault with or complain about others, tell you what to do, or nitpick at issues. The great news is that you have the power to choose a) which type of driver you will be, and b) who you let in your vehicle on the journey of life. How can you ensure that you bring more front seat drivers into your life? Be conscious of how much time you devote or spend with backseat drivers. Set boundaries, and provide respectful feedback if need be. The truth is that sometimes people simply don’t realize how they are coming across, or how their behavior is impacting others. Demonstrate self awareness and ensure your actions, and attitudes are closely aligned to front seat drivers. Notice the warning signs. Your body sends signals (such as knots in your gut, a drifting mind to escape the dialogue, discomfort, or a urge to be defensive), this is an opportunity for you to a) notice, and b) choose a response. Define, honor and protect your personal space. Make sure that you are open to receiving as well as giving. Allow others to support and assist you, as you are doing for people in your life. Practice ways to respectfully end the conversations that you are uncomfortable with. Model front seat driver behaviors, you will likely find that front seat drivers stick together. Forgive yourself and move on. Often when people make mistakes, they turn into their own worst backseat driver… self blame, put downs and making the situation worse. Instead, breathe. And breathe again. And Forgive. This allows you to get back into the front seat with ease, grace, dignity, and new learning. You will likely notice that being a front seat driver is a much easier way to live life, and reach your goals faster. 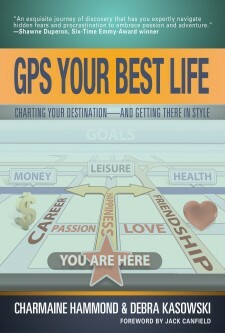 Comments Off on GPS Your Best Life- Are you a Front Seat or Back Seat Driver?